Palm promised that HP webOS 2.0 would be available by the end of 2010. 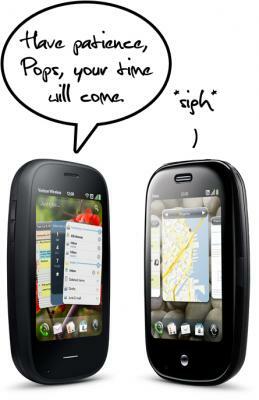 In a way, they’ve delivered, if you want the updated operating system all you’ve got to do is buy a Palm Pre 2. Maybe that’s not the most ideal of solutions, as most of us would prefer that we get the update free-of-charge and over-the-air on our current devices, but it’s looking like the old frustrating but purposely vague “coming months” line is what we’ll have to wait for. According to a post on O2 Germany’s official Twitter account, webOS 2.0 won’t hit Palm devices on their network until the first quarter of next year, otherwise known as sometime between the beginning of January and the end of March 2011. O2 Germany’s Twitter timeline has always been remarkably frank about the state of Palm devices, so we’ll take them at their word, disappointing as it may be. Separately, the folks over at webOS en Castellano heard from “private forums” that current Pre and Pixi devices might skip over webOS 2.0 and head straight to version 2.1, though they were given no timeline. That’s 2.1, not minor bug fixes 2.0.1. Our guess as to what’s in this until now unheard-of version of webOS: optimizations for the lesser hardware of previous generation (i.e. not Pre 2) devices and the absent Exhibition mode. As always, we advise that you season your reading of rumors like this with a dash of salt, though you should keep in mind that the American Heart Association recommends you not exceed 3,000 milligrams of sodium in a day. Source: O2 Germany (Twitter); webOS en Castellano; Via: webOS Blog.de; Thanks to Julian, Herman, and Gizmo21 for the tips!